A natural refinement to the invention of the wheel, gears were thought to have been invented by the Greeks. Philosopher and scientist, Aristotle, wrote about a rotating wheel that turned another wheel in the opposite direction in the fourth century B.C.E. 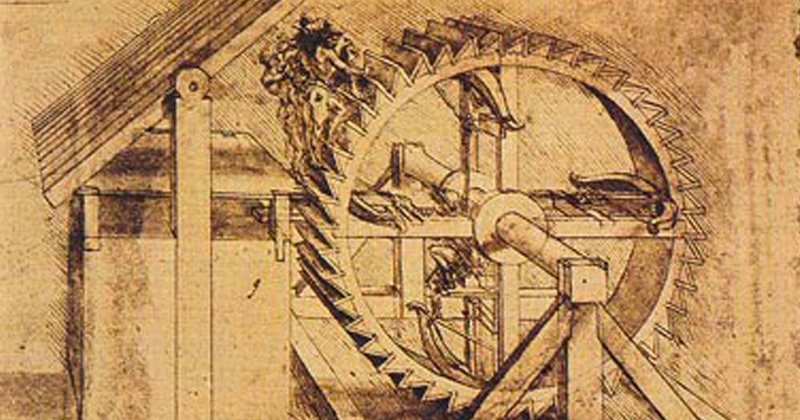 By the third century B.C.E., water wheels and clocks were common on the Greek peninsula. Yet, the first specific mention of gears in Greek writings occurred around 50 C.E. by Heron of Alexandria, a mathematician and inventor. Heron is most renowned for Metrica, a three-volume compendium of observations of the mathematics and engineering of Babylonia, ancient Egypt, and the Greco-Roman world.